- Captain James T. Kirk, start of every episode of the original TV series 'Star Trek'. Well, I shall now ‘dust’ it off and up-cycle it, as now seems a more auspicious time to discuss the smell of (outer) Space, especially as I am off to a Scratch and Sniff event tomorrow (Tuesday 23rd) called ‘The Scent of Space’, with Dr Marek Kukula of the Royal Observatory, Greenwich. So exciting! We shall be boldly going where no perfumista has been, shooting stars and asteroids permitting, we are on a quest to seek perfumes inspired by the cosmos and kicking up some moondust in the pursuit of some funky space odours. Anyway, back at basecamp, my day-dreaming on this nebulous topic was triggered by my re-discovery of Space Dust**, (the popping candy) in a sweet corner of Covent Garden, namely, ‘Hope and Greenwood’. 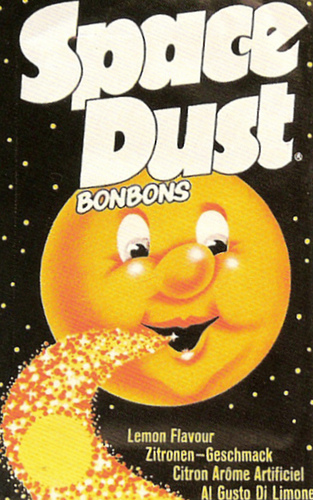 Oh, how I LOVED this stuff, we would have school-ground competitions of how many packets we could pour onto our tongues without suffering excrutiating lacerations! ** Disappointingly, it has now been ‘rebranded’ as Fizz Wizz, which sounds more like a joke sweet! Anyway, I digress, back to SMELL! So, I got to thinking, what would Space smell like? Arduous research ensued to get into the (Twilight) zone.. I watched lots of YouTube clips: Space 1999, Star Trek, Hitch Hikers Guide to the Galaxy, The Jetsons, Ultraman (terrible + funny) – am method like that! How could you bottle the miasmic odour of the cosmic vastness that is planets, stars, black holes, super novae, asteroids, meteors and rockets? My initial thoughts would be sulphur - all those gases and explosions, then metallic, sort of hot metal + iron filings and of course smoke; gunpowder and perhaps a dusty, earthy note, baked + dry? 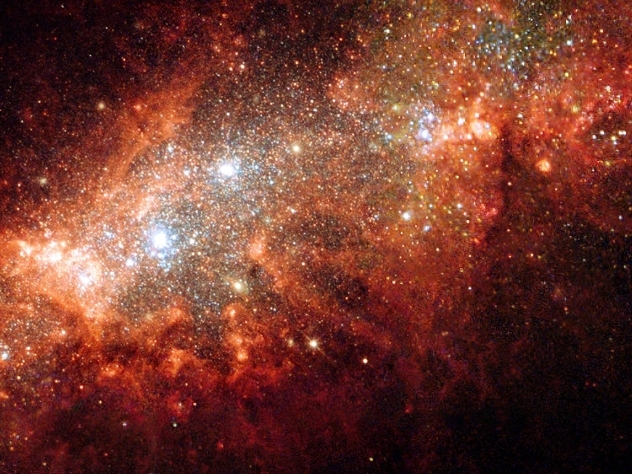 It seems these smells are (chemistry alert) ‘polycyclic aromatic hydrocarbons’; compounds that form during combustion, which occurs at the death of stars (..and another one bites the dust … sad face). However, in 2009, a survey reported that a substance was found in a giant dust cloud ‘Sagittarious B2’ at the heart of the Milky Way, it was called Ethyl formate and is the chemical responsible for the flavour of raspberries and it shares the distinguishing characteristic of smelling like rum!! Yo ho ho - that's a Summer cocktail in the making. Raspberry flavoured space dust - far out! So, there we have it, so far, Space smells like steak, gunpowder, hot metal, raspberries and rum – simples! Rather like a lot of Summer Barbeques I’ve been to – in distant past of course, as we have had no decent Summers for an aeon! Ok, back to botanicals, I think I will add some Raspberry absolute to my list, no Rum available, but I do have Cognac absolute, it will perhaps form my inspiration to create a smell in homage to Barbarella, hmmm, now what would Jane Fonda wear perfume-wise that is, (clothes-wise not a lot in this Space strip trailer)! Here’s hoping we discover some rather more wearable concoctions tomorrow evening, anyone for Alien? I shall beam back with a report. In the meantime “Live Long, smell good and prosper” and laugh at this novelty song, Star Trekkin' by The Firm - mad! !